The occurrence of false advertising in Jamaica is so prevalent that it may often go unnoticed and even if identified, is very rarely addressed. It is a legal wrong! False advertising, though widespread, exposes perpetrators to liability. The section also prohibits other forms of false or misleading representations expressed in statements, warranties and guarantees. Materially misleading representations of the price of goods and services are also prohibited. While the section does not create criminal liability, the Act proscribes the conduct and imposes civil liability with a penalty. Perhaps the most notable feature of the section is that it refers to making a “representation” rather than simply advertising. By doing so, it covers any form of communication, whether oral or written, and for wider purposes. The Act defines “advertisement” to mean any form of communication made to the public for the purpose of promoting the supply of goods and services but does not use the word in the section. This signifies that the word “representation” is intended to be wider in scope. For example, a pro-forma invoice setting out details of the state or quality of goods to be supplied will contain a representation to the individual to whom the invoice is tendered. Likewise brochures, pamphlets and posters have also been held to constitute representations. It also follows that, for the purposes of section 37, a representation need not be made to the public at large but encompasses something conveyed to even a single individual. The section imposes strict liability. Therefore, a person who satisfies the elements of the section is liable regardless of the reason for the false or misleading representation. The section is not concerned with the intent of the person making the representation. This issue, formerly the subject of much legal debate, may now be considered resolved. In a judgment delivered by the Court of Appeal last year it was decided, following a line of local authorities, that the section imposes strict liability on any person who makes false or misleading representations in the manner set out in the section. In that case, the court rejected the argument that the car dealership should escape liability because it honestly believed that the car was made in the year 2007 as was represented to the customer. Although the dealer said he relied exclusively on data provided by third parties from whom he had acquired the vehicle, the court determined that the dealer’s honest belief was irrelevant to the issue of liability. That case is but one example of a complaint made to the Fair Trading Commission (FTC) resulting in the FTC filing a claim against the relevant entity. There have been claims involving artistes advertised for an event who did not perform, and real estate developers representing to prospective purchasers in brochures and pamphlets that there would be certain amenities in a development only to fail to deliver on those representations. These cases demonstrate the wide and varied nature of false or misleading representations. A person who falsely advertises is exposed to civil liability in the form of a penalty under the Act. The penalty for individuals is up to $1 million dollars. It can go up to 5 million dollars in the case of corporations. The Act also provides for civil remedies in the form of damages. Private claims to recover damages must however be brought within three years from the time when the misleading representation causing loss was made. 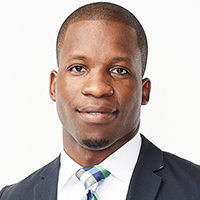 Litrow Hickson is an Associate in the Litigation Department at Myers, Fletcher & Gordon. He may be contacted at litrow.hickson@mfg.com.jm. This article is for general information purposes only and does not constitute legal advice.